Sometimes you want something clean and simple. Poster Style if you like. Whether you have a special movie, event or travel poster we can help with a poster special just for your liking. Our poster special includes, conservation glass, drymounting, a selection of several metal frames, professional assembly and hanging hooks. You can upgrade your selection for just a bit more. For pricing see the following chart. Poster Special can't be combined with other offers or Deals. Image Credit: Sisters Oregon has a ton of fantastic annual events including the Sisters Rodeo, Sisters Quilt Show and one of our favorites -- The Sisters Folk Festival. 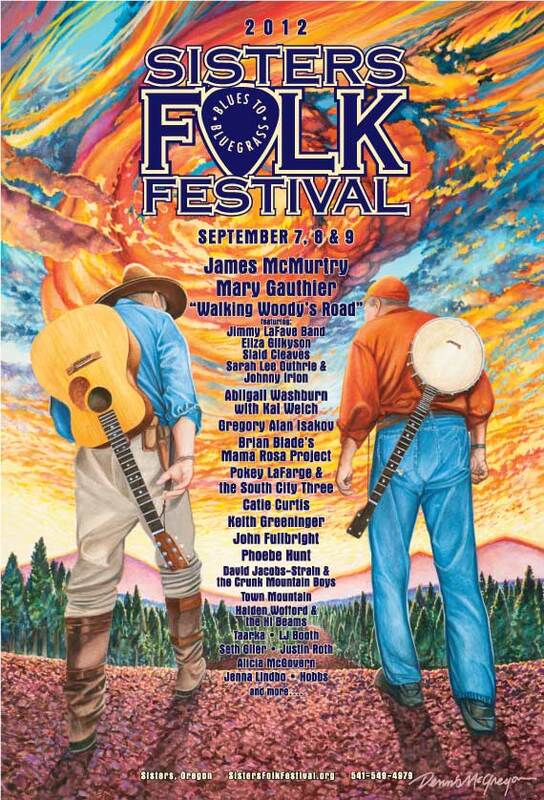 The attached image is the 2012 Sisters Folk Festival by Dennis McGregor a local artist, musician and Sisters icon!